There is no better or more cost-effective way to advertise your business than on the World Wide Web. The trick, though, isn’t just having a website, it’s developing the right website. When people visit your site, they see it as a reflection of your organisation. If your site looks professional and is loaded with useful information readers will see you as an authority and expert. Likewise, if the site looks poorly designed and structured and/or out-of-date they’ll make the same assumptions about your company. The website should highlight your product and/or service and the layout should look harmonious and consistent. The UK is now a smartphone society. 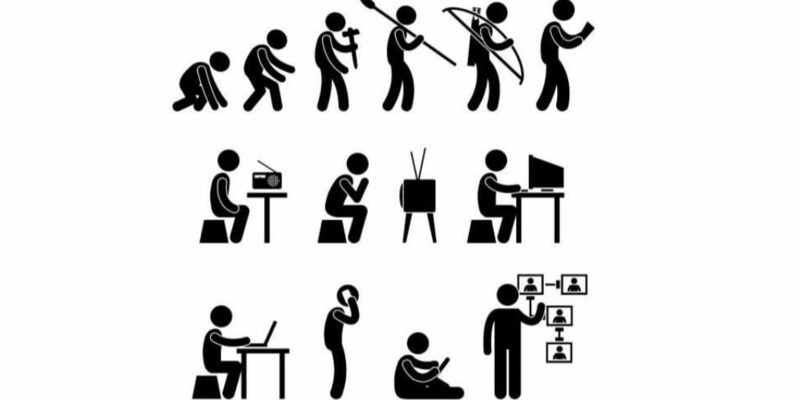 We’re spending two hours online on our smartphones every day; twice as long as laptops and PCs. If you factor that fact with Google’s April 21st 2015 mobile-friendly update ignoring the mobile market is a very risky business. It is now considered the common practice to make a website mobile friendly (responsive design). Responsive Web Design is a collection of techniques that allow a website to flex and adapt to the size of screen it’s being viewed on. Someone opening your site on a small smartphone could be shown on the same site as the person opening it on their laptop etc. For many businesses, it may even make sense to design your website “mobile first“. In conclusion, if you haven’t updated your website in a while the chances are that you may be driving mobile users and potential customers away. Find information on our responsive on mobile website design. Is your website browser compatible? Is your source code valid (HTML and CSS)? Does your website meet the basic web standards? Is the technique and/or (version) programming language outdated? An important factor you should consider is the increase of usability in web design. Every year web standards change radically and techniques to build websites become more advanced in order to comply with the latest standards. If your site was developed several years ago, it probably has a lot of unnecessary HTML code and may be slowing down your website loads speeds – which may, in turn, impact your ranking in the Google search results. Including modern techniques such as CSS coding will allow your web pages to adapt to all smartphone devices. Do the use of images on your website accurately reflect the business message you are trying to present? You’ll be able to measure the effectiveness of your website. An old website may not be equipped with the necessary tools that will help you measure how effective your online presence is. Examples of this include heat mapping, conversion tracking & user recordings. Nowadays, there is an assortment of online tools you can invest in to help you measure what works and what doesn’t on your website, right down to the minutest detail. However, in order to use those, you will need a modern website. The first impression of your website would obviously be the overall layout, but a reader is visiting your website because they are looking for useful information. A site redesign can also give you the opportunity to re-address how you communicate with all your visitors and to write copy that is simple, on target and more effective – remember, in the modern “go faster and faster” world you only have 2 -4 seconds to engage new visitors. The content of a website should be considered to be the most important thing, as it helps in determining how effective a website is. Fresh and unique website content is a very important factor in encouraging people to revisit your site more often. Just like a website your digital marketing and SEO could be in need of a refresh. If you don’t update your website it’s sure to fall down in the search engine rankings. Search engines regard websites with the most recent content as the most relevant to web users. Your content might be gold but if it’s the same content as it was 5 years ago then search engines crawlers might not think it is as relevant anymore. The redesign also gives you a chance to rethink your keyword targeting and the overall conversion rate of your website. The way people search and how they search has changed dramatically over the last few years, even truer with the explosion of smartphone devices now in use. When we talk about user experience (UX), we are referring to the totality of visitors’ experience with your site—more than just how it looks, UX includes how easy your site is to use, how fast it is, how easy it is to find information and how little friction there is when visitors try to complete whatever action it is they’re trying to complete. Your website navigation should focus on nudging the right visitor toward the must-have experience. 10. Is your bounce rate favourable? 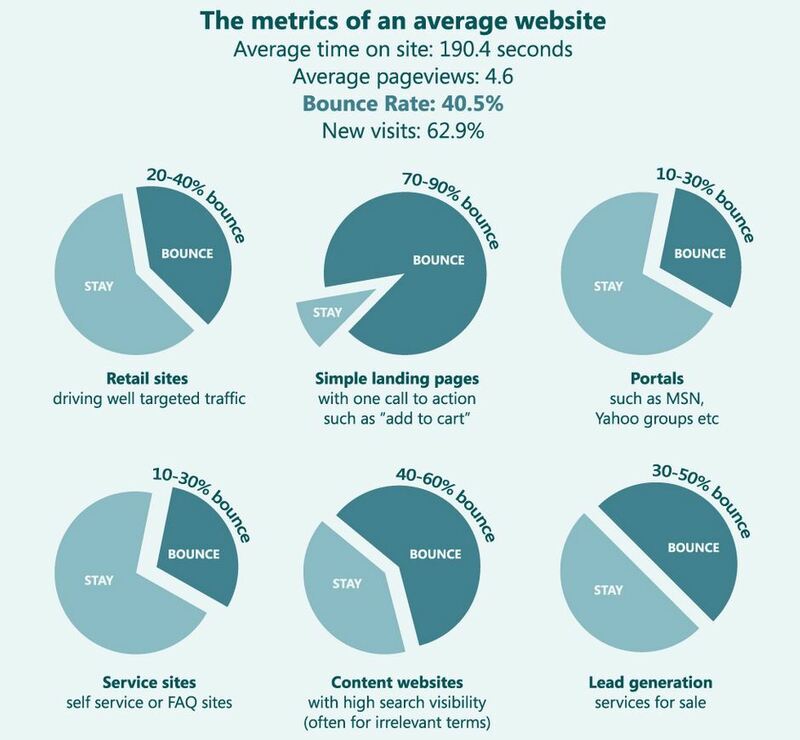 The definition of bounce rate is the percentage of people who arrive on your site and leave without visiting a second page. A high bounce rate is an obvious sign of an outdated or poorly performing site. Website users usually leave a site hurriedly without visiting other pages simply because they don’t find what they are looking for instantly or do not like the look of it! Location – If your company is a local business serving customers in the UK, you should expect a high bounce rate from outside of the UK. If you are a local business, definitely segment your traffic to understand how traffic is performing within your local area and avoid it being skewed by irrelevant visits. Device – A desktop user, tablet user, and a mobile user often have different intents. For example, we expect more people to bounce on a mobile device than a desktop/tablet user because mobile users are often looking for specific info like an answer to a question versus casually browsing or shopping. New vs Returning – A returning visitor has a different intent to a new visitor. It is common for new visitors to have a higher bounce rate than returning visitors since they are less familiar with your brand or your website. You should segment your traffic to optimise individually for new visitors and returning visitors. Medium – People coming to your site through different mediums such as website referral, email, social, direct, organic, paid, display, offline, press releases etc will often have different expectations and may well have substantially different bounce rates. If an alarming amount of users bounce you may need to rethink your website, SEO or digital marketing strategy. You should be able to update your website yourself. An up-to-date website based on a content management system such as WordPress makes it easy to administer, avoids any messy code, you simply write in what you want in an organized fashion (WYSIWYG editor). That way, you can personally add to or switch your content based on your specific goals, while constantly optimizing your website. The Web design industry is constantly working to improve itself. This includes keeping layout designs fresh, updating blogs, refreshing imagery and pushing out timely promotions and advertisements. 13. You’ll reduce your risk of getting hacked. Stories of websites and social media feed getting hacked are becoming more and more frequent. Security flaws can rear their ugly heads on any website, new or old, but the likelihood of security flaws affecting an older website is much greater as it relies on older less secure coding and technology. For the vast majority of businesses, integrated websites are essential for delivering the requisite service levels. We’ve outlined our benefits for website integration here. Your customers will expect access to a blog, contact form, support form and if applicable, shopping functionality, all on one easy to use website. They will require a single login and rapid access to accurate and timely information at all times. Integrating your site with your back-office order fulfilment, tracking, billing and CRM systems such as Sage, MS Dynamics or Salesforce reduce the likelihood of mistakes and confusion. Many small businesses start out using a collection of open source tools for different activities, only to be forced to use a complex, error-prone and time-consuming strategy involving manually copying information from one system to another. A website refresh is a perfect time to find ways to save admin time and improve customer service.